A variety of magnetism researches are encountering a renaissance with the help of developments of thin-film growth technology at the atomic levels. Atomically engineered magnetic nanostructures such as superlattices, wires, and dots have driven the magnetic renaissance through findings of the intriguing physical phenomena such as spin-reorientation transition, giant magnetoresistance, exchange bias, spin transfer torque, and multiferroics, as well as nontrivial ultrafast dynamic properties of spin waves and vortices in geometrically confined systems. 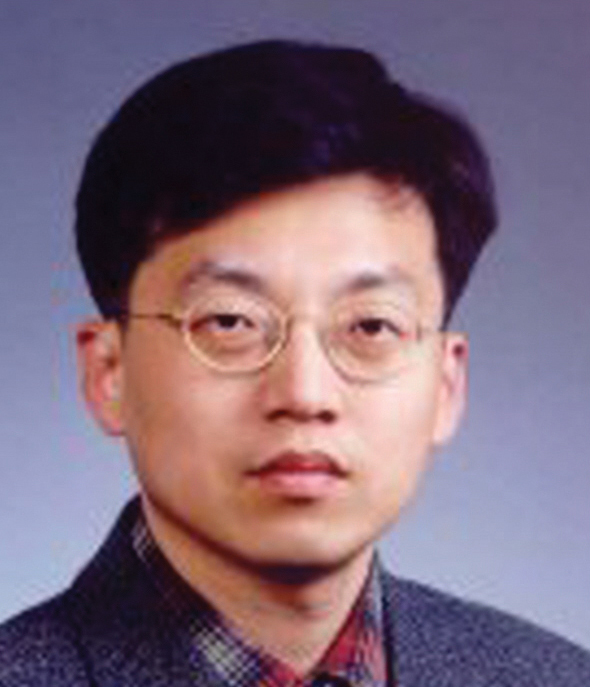 Professor Sang-Koog Kim is interested in the underlying physics of the aforementioned phenomena as well as their applications to solid state information storage and logic devices, and developments of novel probing techniques able to investigate such nanoscale-related static and dynamic phenomena. Nanostructures such as nanomultilayer, ultrathin magnetic films, nanowires, and patterned dot arrays will be fabricated to search for their novel properties and applications to miniature magnetic devices. In recent years, he earned a government research grant, funded by the Korean Ministry of Education, Science, and Technology through National Creative Research Initiative Program (KOSEF) for up to 9 years since the April of 2006, working on spin dynamics, in particular on the wave properties of spin waves and vortex dynamics, as well as new classes of nonvolatile solid state information storage and logic devices based on spin dynamics and nanomagnetism. In the upcoming decade, he will focus on the exploitation of the wave theory of spin waves and unveiling the correlations between the wave parameters of spin waves, and the physical parameters of magnetic media, and but also developments of new classes of solid state information storage and logic devices, based on spin waves and vortex dynamics. The ultimate goals of our center is to escape the pre-existing means for information storage and logic operations in MOSFET-based electronic devices, and instead to realize new classes of information storage and logic devices through spin waves and vortex dynamics.